If planted in the right place, Virginia sweetspire is a tough, long-lived, trouble-free plant with sweet-smelling white blooms in late spring and showy red and purple fall color. 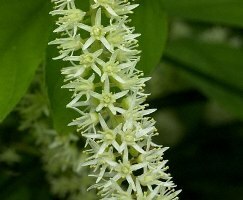 Fragrant flowers appear in May and June borne in long racemes that resemble fat pipe cleaners or large fluffy white caterpillars and last for about six weeks. It spends the rest of the summer rather inconspicuous. Leaves turn the color of wine in the fall with an eye-catching array of deep purples and rich reds. The color may last all winter. Virginia sweetspire can grow in nearly any kind of soil—acidic to alkaline, fertile to not so fertile. Although it’s usually found in wet spots in the wild, it does just fine in average garden soil in sun or shade. In full sun it tends to be dense and symmetrical. In deep shade it is more loosely shaped, leggy, and flowers tend to be sparser. Prune after the bloom season since flowers are produced on old wood. Habit: Medium-sized, deciduous, semi-evergreen or evergreen shrub with medium green, oblong leaves. 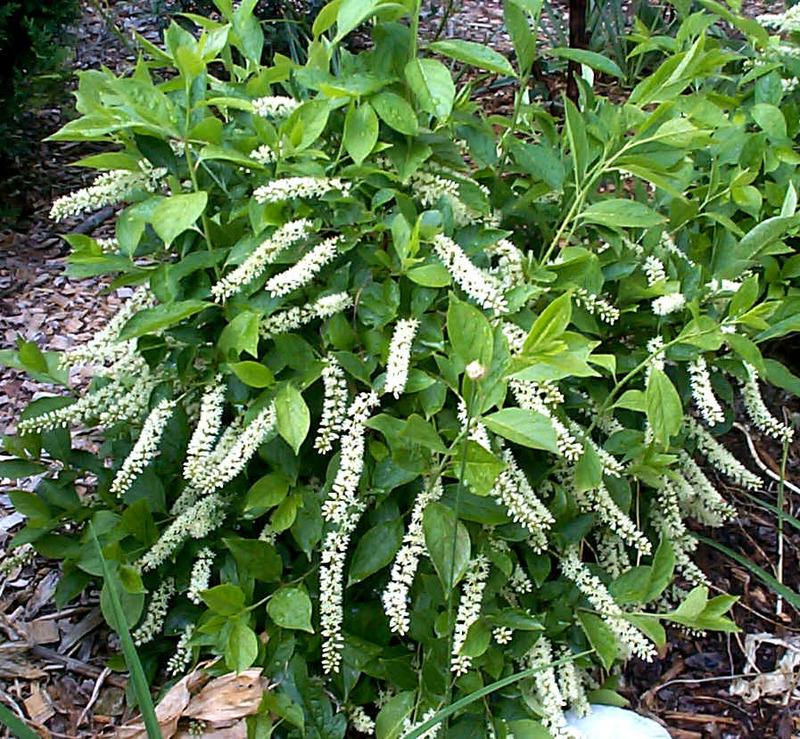 3-to-6" spikes of fragrant white flowers in May and June. Small, tan, dry seed capsules are available in fall. Fall leaf color is showy purplish red to red. 4 to 5’ high, usually wider than high. Culture: Full sun to full shade. Best flowering occurs in full sun. Planting and Care: Plants prefer moist, rich, slightly acid soils but are highly adaptable, performing well in neutral to alkaline soils and soils of average fertility. Though plants are usually found in wet areas in the wild, is surprisingly drought tolerant. Landscape Usage: Plant in masses, in the shrub border, as a specimen, or as part of an informal hedge. Provides excellent erosion control along stream banks. Wildlife Benefits: Fruits are eaten by songbirds. Flowers provide nectar for butterflies. Propagation: Seed (no stratification), softwood cuttings, division of suckering plants.